I’ve been struggling with showering lately because sulfate free body wash is so expensive! After learning about all the tea tree uses I decided to make a tea tree oil body wash that I can use on myself and my kids because I am sick of having to pay such high prices for natural and sulfate-free products. We have completely gotten rid of bath and body products that have chemicals and sulfates. I did so much research on sulfates (SLS) and how harsh they are for the skin and how damaging they are to one’s health to ever want to put that on my skin let alone my kids bodies! Yuck! Check out my post on why use sulfate free shampoo products and WHY you need to ditch the chemicals NOW! 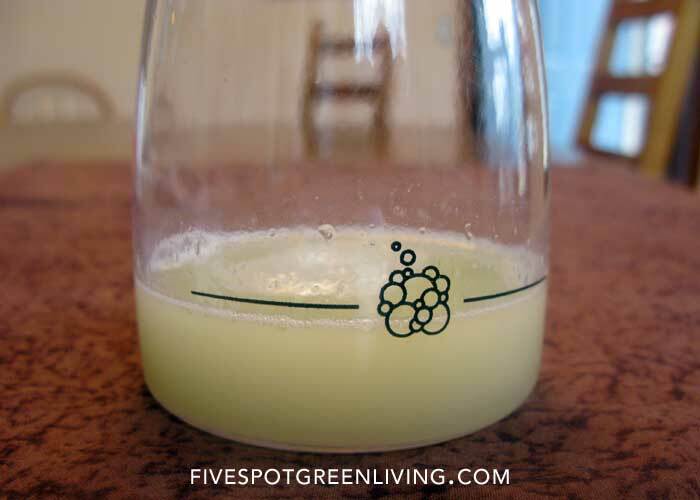 I knew that you can make a simple body wash using castile soap. But you know I LOVE my oatmeal and I love the idea of using oatmeal-infused bath products. So I made an oatmeal mixture that could be added to the tea tree oil body wash and then doctored up the original recipe with essential oils, vitamin E oil, and jojoba oil. We do have avocado oil in the house (hands in the air, woot woot!) so I will try that next time! Boom! Also, if you are using this on young kids, I recommend using the baby mild castile soap. I only have the peppermint castile soap in the house so I used that because a) my kids are older, b) it’s getting warm out so the coolness of the peppermint doesn’t bother them, and c) they LOVE the smell of peppermint! I LOVE this idea! 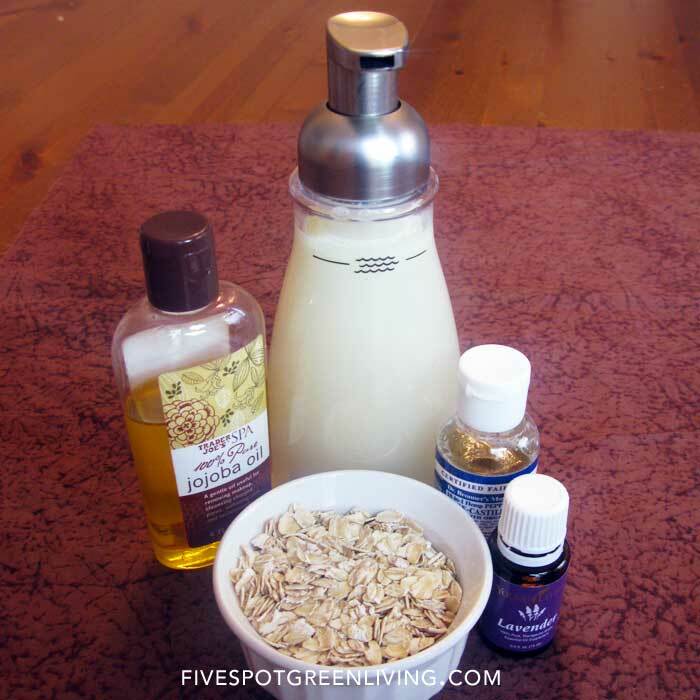 We use liquid or bar Castile soap for showering but the oatmeal would add nice moisture for dry skin. I can’t wait to try it. Thanks for sharing! Hi Vicki — thanks for the recipe. The peppermint body wash would be lovely any time of the year here in CA. Peppermint is quite invigorating. And the lavender would be nice just before going to bed – helps me sleep. Question: in the list of ingredients, was your intention to link the words “like this” and “get them here”? Because they’re not. 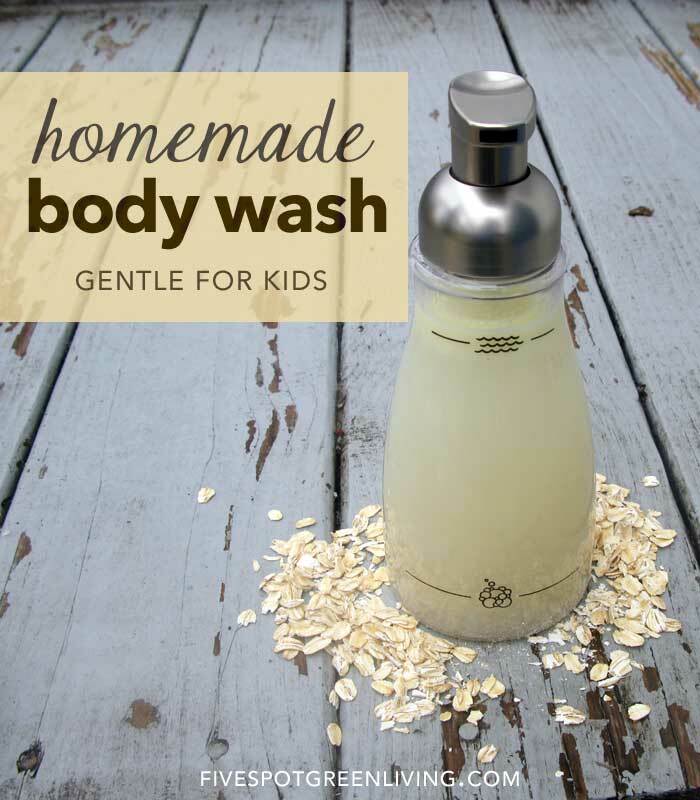 I’d love to try making homemade body wash thanks for the recipe! We love our essential oils and I can’t wait to try this; I haven’t yet replaced our soaps. This would be a great Mother’s Day gift too! Those all sound like wonderful ideas for homemade soaps. My daughter has very sensitive skin and the oatmeal sounds like a winner as an additive. I NEED bubbles. 😉 Thanks for posting. Hello from Waste Not Want Not Wednesday. Lol Melissa! My kids feel the same.